Welcome friends to another Crafty Monday! I highly recommend joining Danielle’s place for even just this study. It’s really worth it but there are also excellent resources for other studies you may do too. 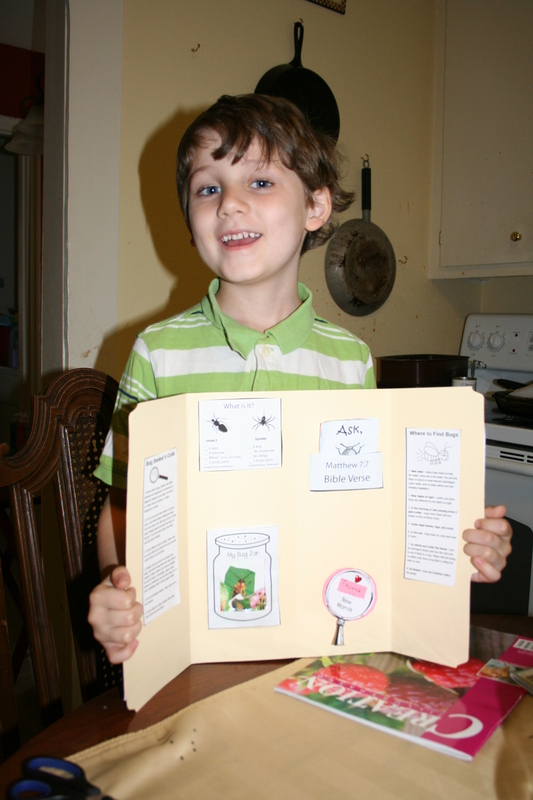 I love the Bug Buddy studies because there’s 12 lapbooks with tons of info on bugs and the Bible. 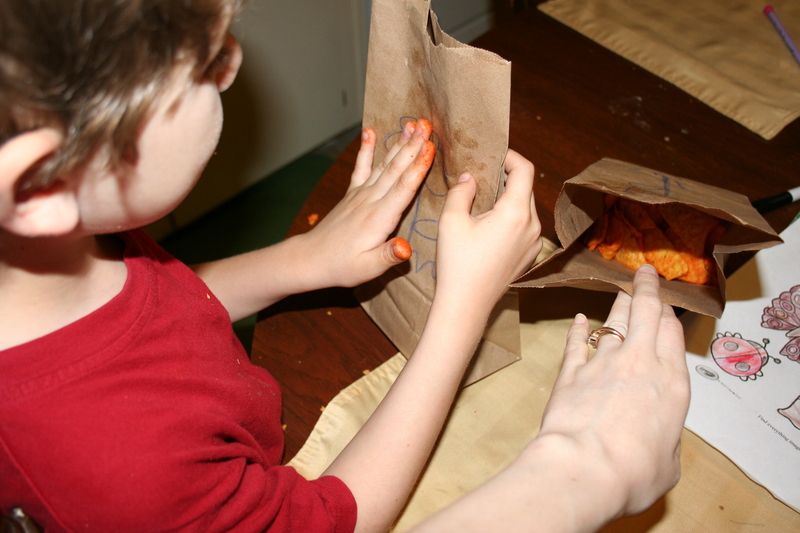 It’s a hands on approach and can be adapted to many ages. I’ve been inspired to make my own lapbooks for some bugs they did not cover (Spiders and Butterflies). I’ll talk about them along and along. The first lapbook was about finding bugs & seeking God. 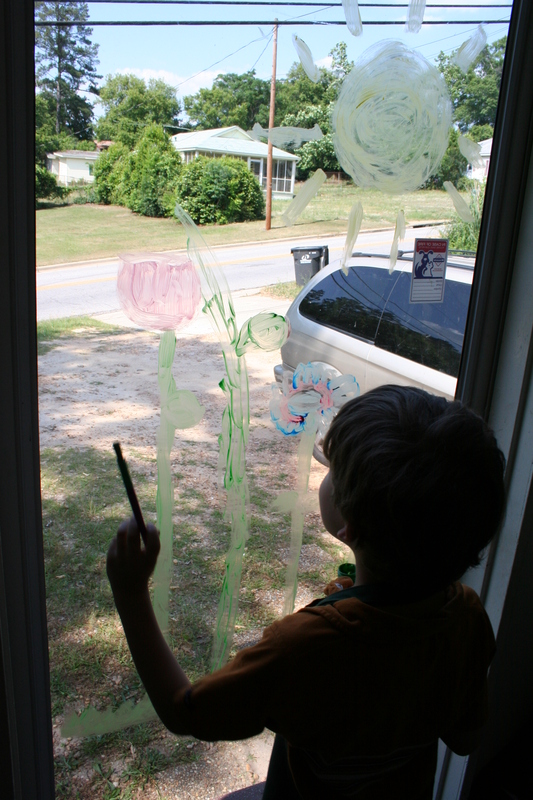 We also talked about how we don’t always see bugs but we see what they’ve done. It’s the same with God. We see him through creation, His word, and in peoples’ lives. 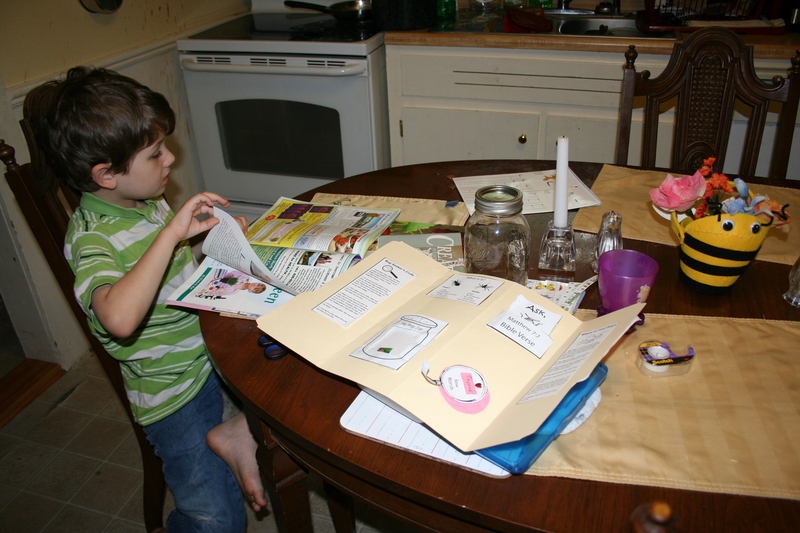 Michael found pictures of insects in magazines and put them in a bug “jar” on the folder. 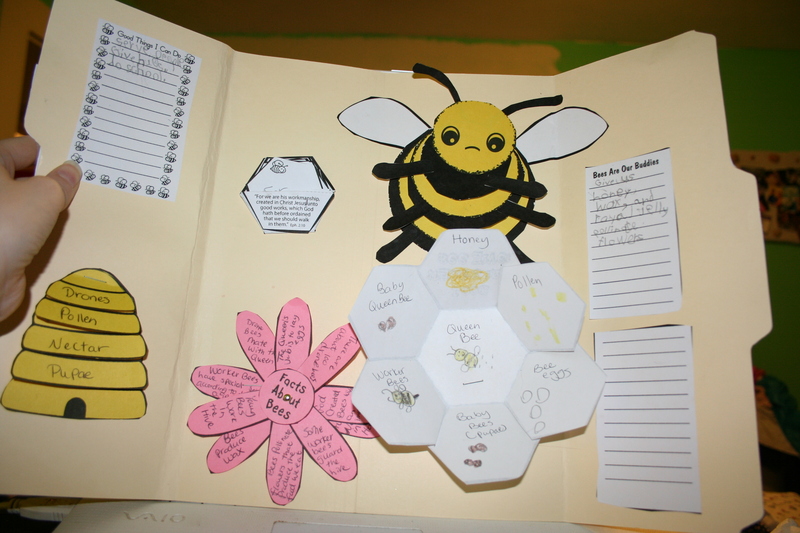 The next lapbook was about Bees and how God gave them very important jobs. Bees pollinate plants which in turn give us food. So we really need bees. Well, God gave us special jobs too and we mean more to Him than bees. We are created in His image. 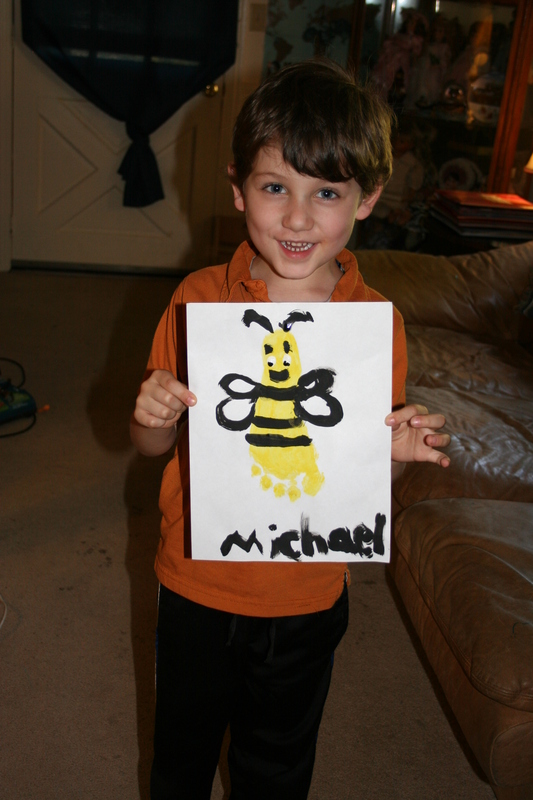 So Michael learned some bee facts and wrote down a list of all the good things He can do. 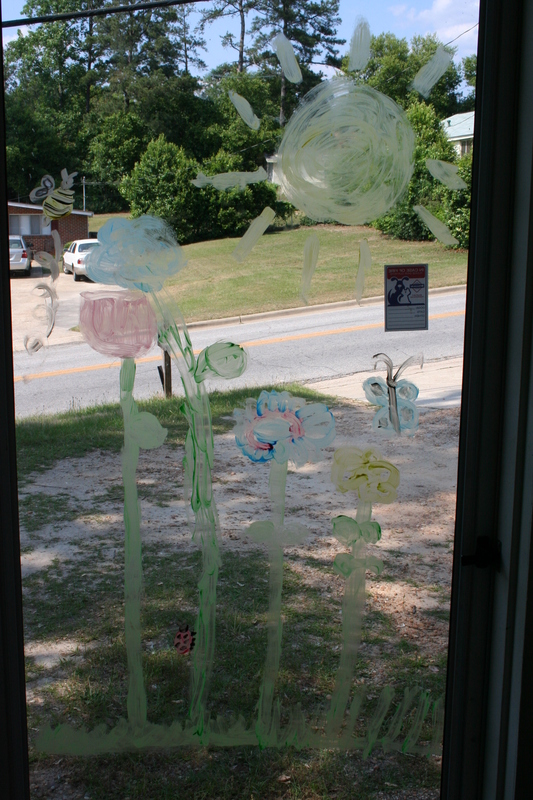 We used Doritos to pollinate the “flowers”. It was great. 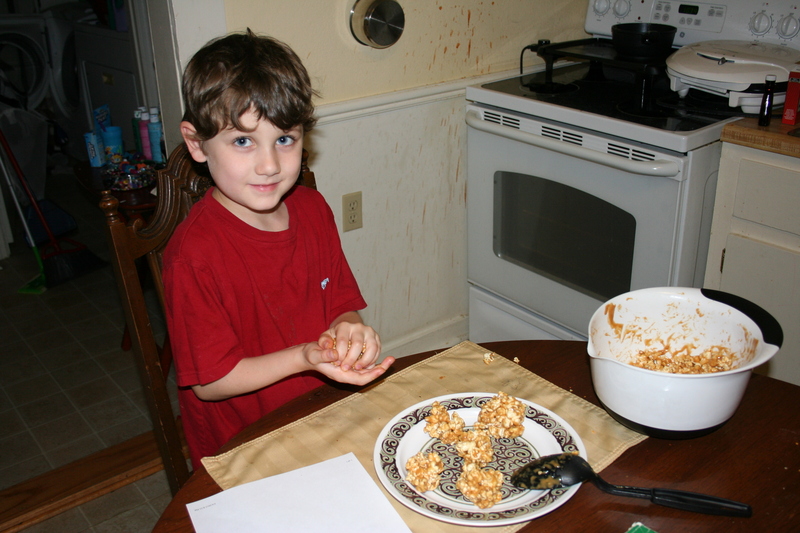 Also little man made peanut butter & honey popcorn with his Dad. 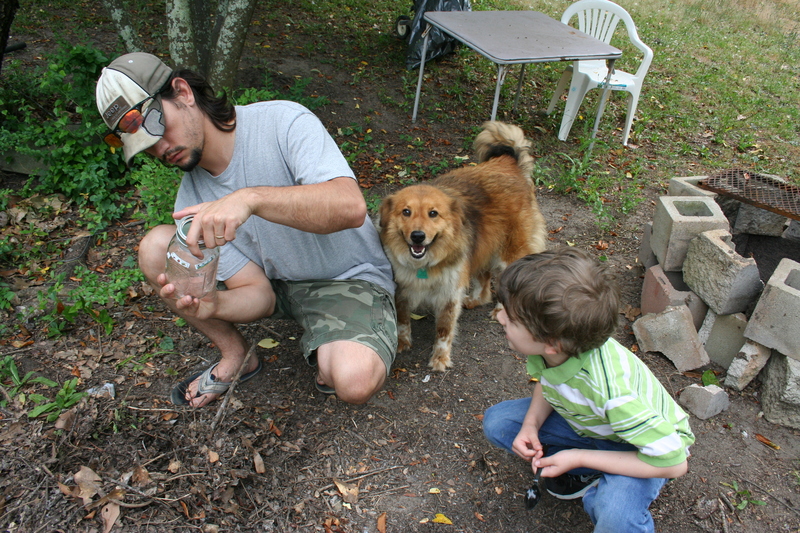 Later, we watched the “Bee Movie”. I also found great educational videos on youtube. He’s very lucky to get such a well-rounded experience with his learning. You’re doing a great job! Cool. I like his foot bee, cute.